Today half the gang of students jumped in the van with our bags full of dirty laundry. We found out the week we arrived that the Villa's washing machine was broken. So a little after 11 days of wearing all but my semi-dress clothes and hand washing others we all decided it was going to be a laundry day. The troops assembled and we ventured off into the city. We thought we knew where we were going, BUT that wasn't exactly the case. We ended up passing through 6 different towns and went to 3 different ones in search of this "mythical" place. We knew it was going to be an adventure, none of us spoke fluent Italian and we had to navigate our way past all the dry cleaners that were recognized as self-serve cleaners. The first city we stopped in was Mendrisio, but it was mostly getting lost and taking a lot of wrong "left" right turns thanks to our navigators. The second city we stopped at was Paradiso, here we continued to get ourselves lost, but we enjoyed the ride around different streets in the city. 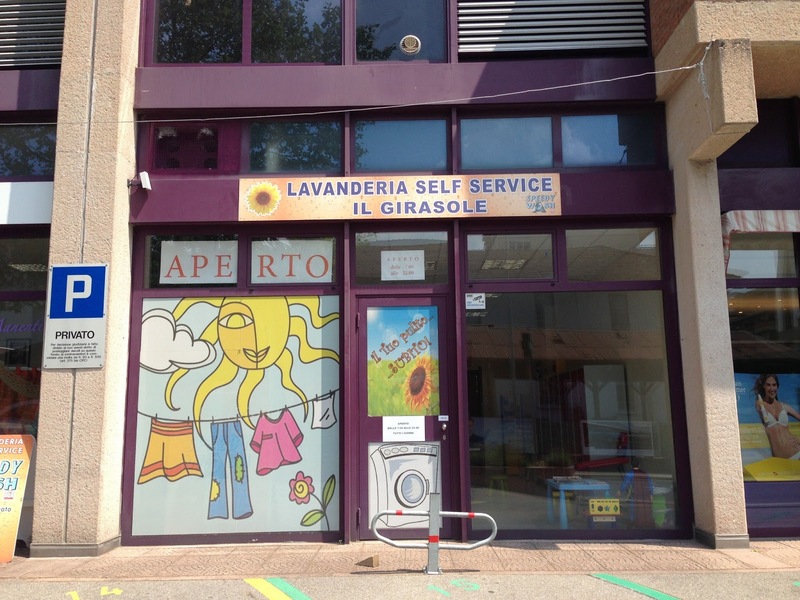 Lastly after making a pit stop for some Espresso and Cappuccinos in Lugano we were able to get some very specific directions to a self-serve laundromat. Third time's the charm, right? YES! Between Claudia and Trini we had a map and a possible address. Here we go again, zig-zagging our way through the horrible one way streets of northern Lugano. And then Ben shouts "there!" He has spotted the laundromat, or better yet a self-serve laundromat. We quickly circled back to the one way street where this magical place was spotted. After hearing it was reasonably priced we hopped out the van with smiles from ear to ear, our adventure was over, or had it just begun? 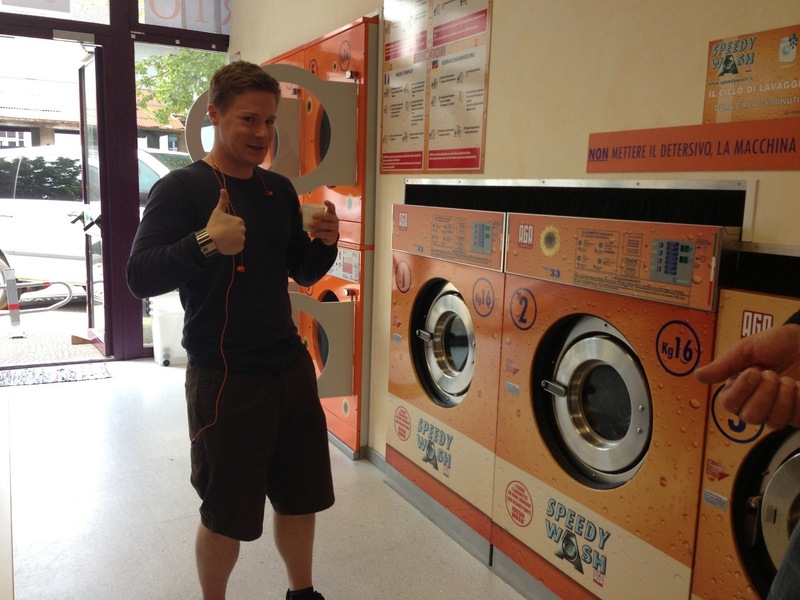 Once inside the laundromat Trini became our translator. He used a combination of Spanish and Italian to communicate with the lovely woman who owned the laundromat with her husband. The woman was very welcoming and excited to have us in her shop. This was the real adventure trying to get the machines started and the change situation worked out. We discovered that the washing machines were already measured with soap and all we needed to do was to add some Swiss Franks and we were set. It was quite a morning, we had no idea how strenuous a laundry trip was going to be. In all the trip took about 4.5 hours and a few cities later we had clean clothes and mini cups of espresso yet again. 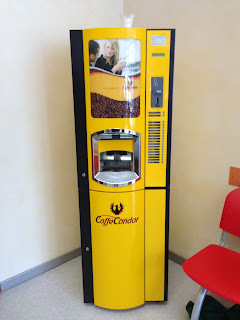 The laundromat had the best grab and go coffee machine one could pay a Frank for. This invention of a machine was golden, it would work so well at the School of Architecture and Planning. 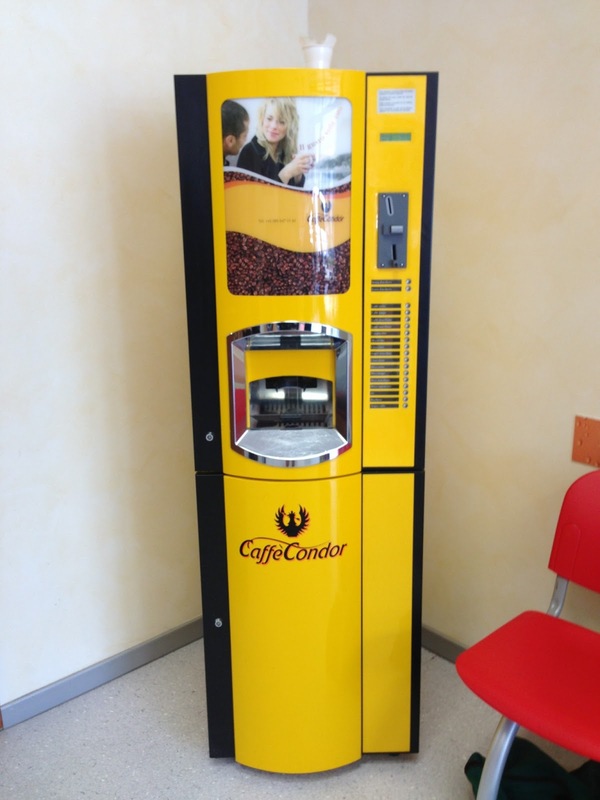 Just think after all those late nights/early mornings at school we wouldn't have to leave school for caffeine, instead we'd pay a vending machine for great tasting coffee. Students started to think, how can we get this to the States and in the school. Can we make this happen, will this happen? I guess we'll find out! Christina, I absolutely love your poetic narrative. I feel like I am there. Keep up the great journaling. I can't wait to hear more...and Yes! I wouldn't mind having those machines at school either. Maybe a project in the works for you and your team in the future. Thank you NaVida glad you enjoyed it. I hope to post more of our adventures to various places all around Europe. I have so many pictures to post when I return. I was unable to bring my PC, or camera cord. But I am excited to see all the amazing photos I have captured! Ciao!